‘Chennai 28’ fame Vijayalakshmi has turned producer for 'Pandigai' directed by her husband Feroz. In this film Krishna pairs up with Anandhi of 'Kayal' fame. The film revolves around the underground illegal street fighting and A street fight festival organized by gangsters. The makers say that the script promises joy and energy that would entertain audience. 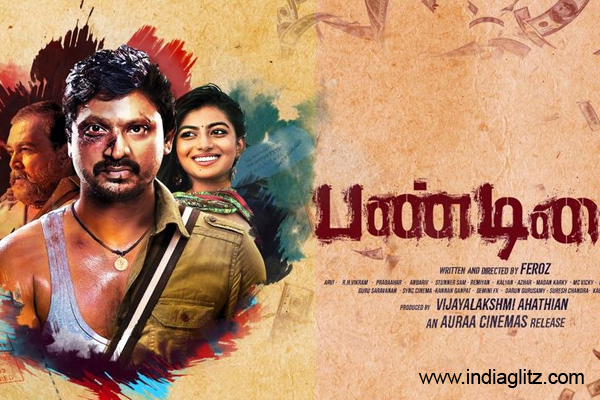 'Pandigai' is about a man who is ready to face and fierce anything. Saravanan Nithin Sathya, Karunas and 'Black' Pandi play important roles. R.H. Vikram of 'Rangoon' fame has done the music score, Remiyan is designing the sets and Aravind mantles the camera, editing is by National Award winner Sabu Joseph and Anbariv is the stunt choreographer of this film which promises to be an action entertainer. The teasers and trailers of the film has created a good buzz about the film as it promises a hard hitting action adventure. 'Pandigai' has been certified with a U/A by censor and it has been scheduled to hit the screens on July 14, 2017.